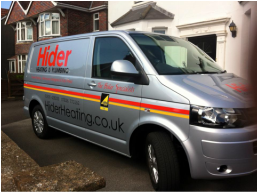 Hider Heating has been established since 1973 and is an expert in the plumbing and heating sector. Hider Heating work with estate agents, letting agents and the general public in the Somerset area. Hider Heating offer all aspects of plumbing and heating including: full central heating Installation, boiler repair and service, bathrooms, landlord gas safety certificates and general plumbing. Our corgi/gas safe registration number is 700 so you can see we've been in the business a long time giving you confidence that only the highest standard of workmanship is as standard - we also have great testimonials. Why should you choose Hider Heating?